Clearance / Sale Item! Only 4 available at this price! 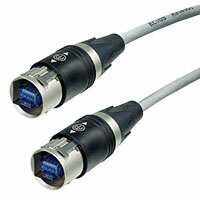 Neutrik etherCON CAT6 patch cables use a shielded S/FTP cable with cable plug carrier offering a robust metal shell and Push-Pull locking system.